If I wasn’t doing this, I’d be a: Hmm … getting paid to travel and eat would be pretty awesome, for a time at least! Seriously, my heart is to help and encourage people, especially those that can’t advocate for themselves, such as children, to let people know that they are seen, they have value, and they are special. Most impressive person I’ve ever met: My father. He has faced insurmountable odds and hardship during his life. He was born in Puerto Rico, one of 13 children. His father died when he was 11. After his father’s death, the family lived in a dirt-floor shack. My father worked for pennies a day, shining shoes to help support the family. In high school, he played baseball and was offered a full scholarship to college as a baseball player. Instead, he was drafted into the Army during the Korean War. During the war, my father was in a company comprised of Puerto Ricans that was considered to be “expendable” and sent in the first wave. He was a scout and became trapped behind enemy lines. My father had to bury himself in a hole to hide. It was winter. Left behind by his company, he was found a week later by another company—frost-bitten and snow-blind. Despite having discharge papers documenting his service, his military records were “lost”/ sealed for decades. He was finally acknowledged as a veteran 17 years ago. Upon separating from the Army, my father went to school for engineering and was told he’d never graduate or succeed. Instead, he graduated at the top of his class and was recruited by NASA. My father ultimately signed on with GE and conducted much of the research pivotal to modern appliances such as toaster ovens and microwaves. He worked with the semi-conductors, transistors, wafers, and the vacuum tubes found in early TVs. As a result, he is listed on several patents. He is the father of eight children. He was the sole support for his family, working three jobs when necessary. Each of us went to college and secured successful careers. He is now the proud grandfather of 15. I unwind by: Unwind? What is that? I guess it would be late-night watching of Sci-Fi series (like Stranger Things) while sipping on a glass of red wine. On my desk right now is: three monitors, two computers, two cell phones, stacks of papers, and receipts (representing things that need to be addressed, copied or filed)—along with this morning’s coffee cup, a bag of mixed nuts, and photo strips taken at the Wildhorse Saloon in Nashville during Venue Connect 2017. My favorite IAVM program/conference/event/session I ever attended was: the 2014 PAMC conference in Kansas City. It was my first PAMC conference and my first occasion, since college, to be immersed with theatre people. It was incredible! Couple the conference with being in Kansas City, a city I LOVED living in right out of college, and it was wonderful. I was smitten. If I were on the other side of the seats, I’d be: working at a performing arts center. I discovered a love for the theatre while in college when I had the opportunity to work at the campus performing arts center. I helped with load in, hanging lights, sound check, and then worked front of house for performances. At the time, I didn’t realize that there was an industry and profession that I could have remained a part of. Decades later, I came full circle and was able to reconnect with that first love and “live vicariously” through serving performing arts centers and venues of all types. One trait an up-and-coming venue manager should have is: to realize and recognize the strengths represented in everyone around them; to be willing to absorb and learn from their experiences and knowledge. One up-and-coming venue star in the industry is (name/venue): There are so many impressive people all around us that it is hard to name just one! Kayln Denniston, though, is one to watch. She is committed to serving venues and this industry. Kayln is caring, passionate, intelligent, and committed to excellence. Our future as an industry is very bright with so many exceptionally talented professionals. One of my goals for this year is to: serve our clients, my company, and this industry with excellence. To make positive contributions wherever I go and in whatever I do. How do you plan to help elevate the profession? 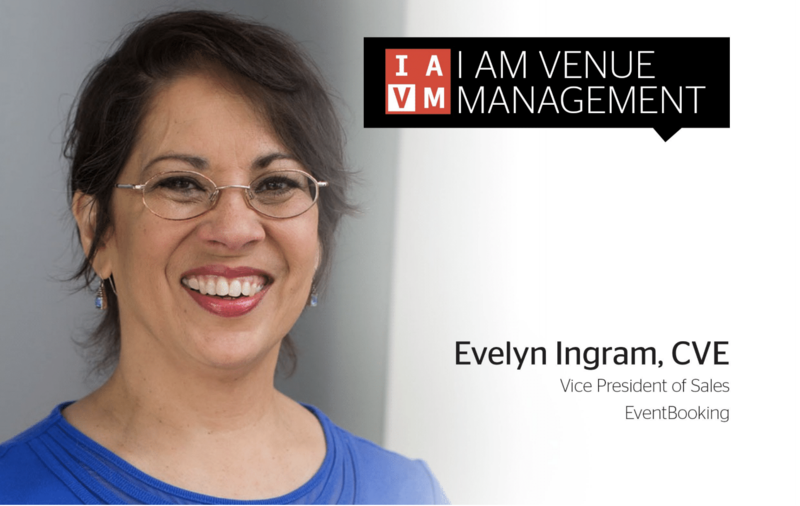 By engaging with the industry through IAVM and its initiatives; contributing to and assisting with the committees that I’ve aligned with. Where do you see new growth opportunities in the profession? Technology and safety/security. So much, especially in these areas, is changing at such an incredible rate that we can’t even imagine what might come next. How do you stay current with industry trends and developments? It is my privilege to have daily interaction with those on the “front lines”— the representatives of venues of all shapes, sizes, and locations. This interaction allows me to listen, learn, and therefore observe patterns and trends within the industry. Additional resources include attending conferences, following industry publications, blogs, newsletters, LinkedIn, and Facebook. Who are three people you’d invite to a dinner party and why? My grandparents. I knew them for a short time in my childhood and don’t think I fully appreciated who they were, what they’d lived, and what they had to offer. It would be wonderful to be able to have an encounter with them now.